In an industry that is highly technology-dependent, developers and providers of health-related products, services and technologies rely heavily on proprietary information, processes and other intellectual property. 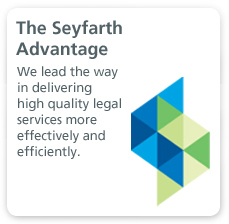 Seyfarth combines its nationally recognized Health Law and Intellectual Property practices to help health care and life sciences clients identify, protect and exploit their intellectual property assets within the complex regulatory challenges unique to the health care industry. Our Health Care Intellectual Property team includes attorneys with advanced degrees in molecular biology, biochemistry, pharmacology as well as organic chemistry. Our highly experienced professionals have previously held such positions as CEO of an immune-oncology start-up, general counsel of a private equity firm focused on investments in the life sciences industry and USPTO Examiner. Our team’s practice handles all aspects of pharmaceutical and biotechnology patent counseling, due diligence and licensing/transactional matters; as well as patent prosecution, litigation and opinion work. 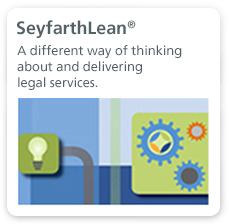 We prepare and prosecute patent applications and regularly counsel clients through intellectual property audits, management programs and enforcement initiatives. Our experienced intellectual property attorneys provide guidance with regard to advertising, marketing, Internet, information technology, copyright, trademark patent, antitrust and unfair competition law. When infringement and other unfair practices are identified, time is of the essence. Our team of experienced, aggressive litigators responds quickly to potential threats and helps minimize losses due to the unauthorized use of proprietary technology. We also have experience counseling clients in licensing matters regarding biotech and genetics, medical products, software and hardware, -e-commerce, and pharmaceutical products, as well as licensing for health information exchanges, electronic medical record, pharmacy management and related technology. Our team has negotiated large numbers of biomedical patent licenses, asset purchase agreements and joint-development agreements. Specifically, we have prepared services and support agreements, software licenses, and Internet hosting agreements and have managed large trademark and patent portfolios for a variety of clients in the healthcare arena. 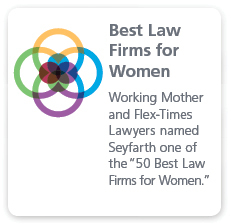 In September 2016, Seyfarth Shaw acquired Fanelli Haag, a preiminent intellectual property boutique based in Washington, D.C. Fanelli Haag was reconized as “Most-Favored IP Boutique — One of the best firms in IP,” according to a report from BTI Consulting Group in 2015. In 2016, CorporateINTL Magazine named Fanelli Haag “2016 Biotech Patent Law Firm of the Year” in Washington, D.C.
Sale of its Tego Biosciences subsidiary to Luna Innovations, Inc. (NASDAQ: LUNA) in a deal worth a great deal in upfront and milestone payments plus royalties. Formation of MD Anderson Spin Out Ablaris Therapeutics, Inc.
Acquisition of Alvos Therapeutics, Inc.
Joint Development Collaboration with Alnylam Pharmaceuticals, Inc. Represented Prism Pharmaceuticals, Inc. in its acquisition by Baxter International, Inc.